Every photoshoot usually has its surprises, this one being the moody weather. Us Southern Californians panic whenever the weather has any rain in the forecast. 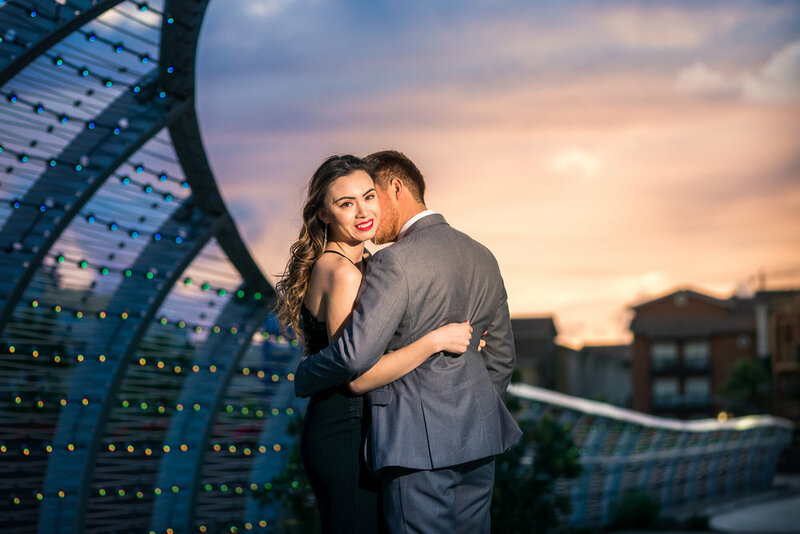 Well we weren't canceling this couple's photoshoot even if it wanted to rain on us (we had a backup plan on the Queen Mary in case it was torrential downpour). 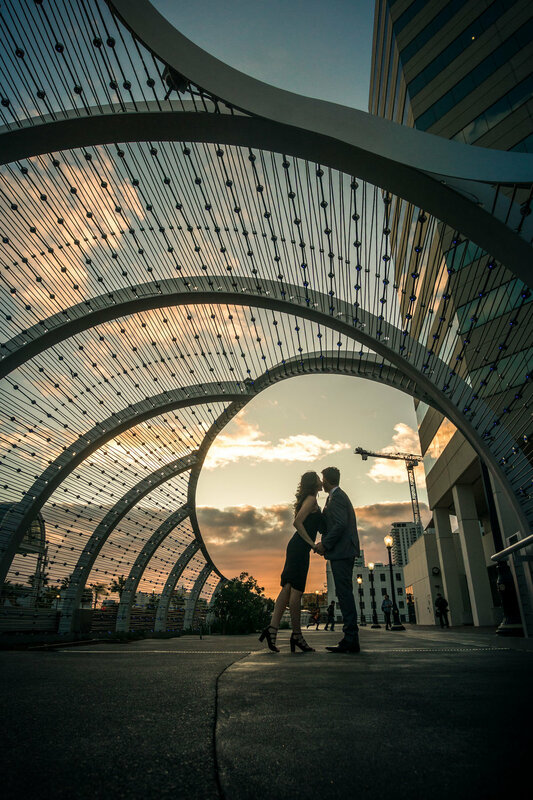 We started our couple's photoshoot next to the Long Beach Convention Center (@lbconventionctr) on their cool new Rainbow Bridge which mimics the geometry of a barreling wave and lights up at night with rainbow colored LED lights (too bad there's no real waves or surfing in Long Beach otherwise I'd live there in a heartbeat). It did rain intermittently here and there and props to Ana and Gerardo for braving the chilly and rainy weather with us. I'm sure they are both dry by now. 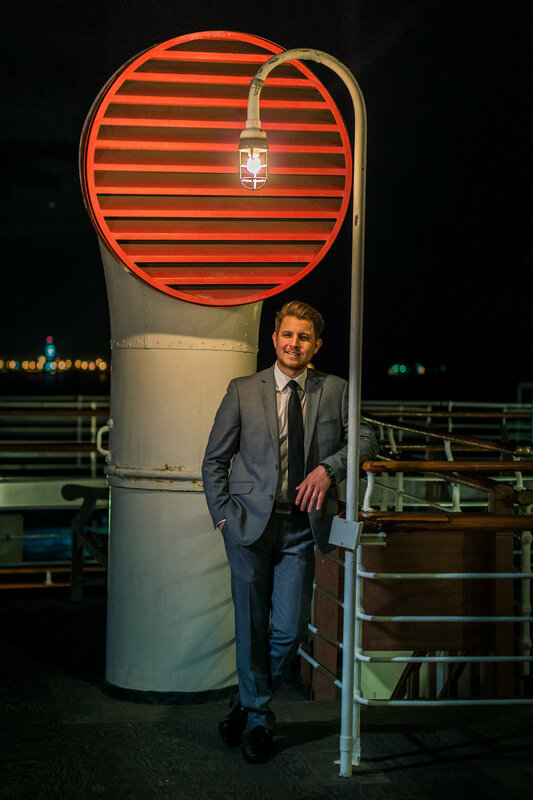 After warming up for a bit we headed over to the Queen Mary ship to take some vintage and classy looking photos. I didn't get exactly what I was looking for, particularly because the ship itself is not well lit and shooting at night, everything is near pitch black. A daytime or golden hour shoot would be most suitable for this location I believe. A big thanks to my good friend Ruben @signaturelookphotos for doing this shoot with me while testing out some new lights like the Godox AD600 which I'm loving. Congrats to Ana and Gerardo on one year of marriage! Looking forward to photographing you both again!